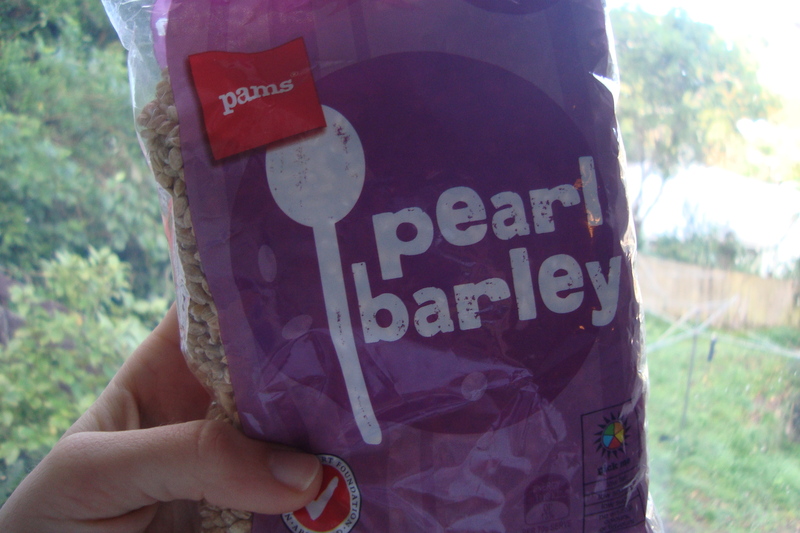 We’ve only recently started eating pearl barley as a low GI carb with loads of fiber. It’s cheap, it’s nutritious, and you can use it in loads of different meals. I like it because it is quite chewy and has more of its own flavour than rice does. It seems to work quite well as a rice substitute in stir-fries and as a side, for days when rice feels too boring. 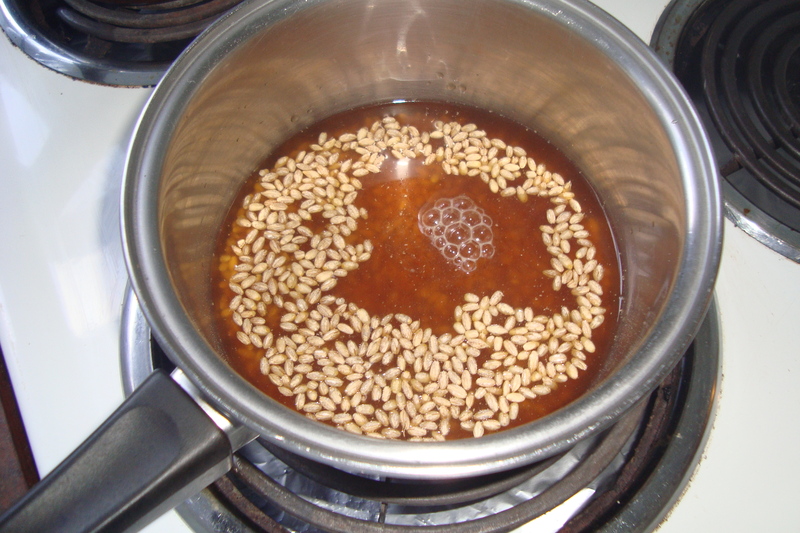 I like to cook it in vegetable stock, which I find gives the barley a really yummy flavour. Pearl barley is also very cheap – another option for anyone doing the Live Below the Line challenge, or anyone who wants to save money. To find pearl barley in the supermarket, look near the soups. That’s where I found my bag of barley, after first hunting around the supermarket’s bulk food section and rice section and feeling disappointed when I couldn’t find any.